Crib bumpers are all about safety and comfort and are meant to create a soft buffer between your baby and your baby's crib. Coordinate with all of our Crib Collections and find an assortment in a variety of colors, patterns & styles. Mix & Match with our crib bedding separates to create a unique baby bedding collection just for you! 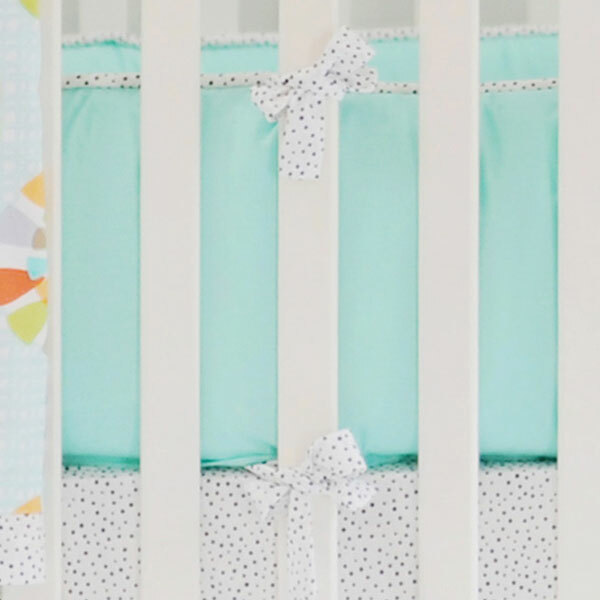 Our mix and match baby bedding is the first step to creating the nursery of your dreams! Our crib bumpers are slipcovered for easy cleaning and made in the USA. Shop by color including gray, pink, white,aqua, coral and more. Coordinate with our variety of crib sheets, crib skirts and crib blankets. According to the Juvenile Products Manufacturing Products Association, when used properly, traditional bumper pads can help prevent limb entrapements and head injuries The Consumer Product Safety Commission (CPSC) states that the greatest risk is to an infant sleeping in the prone position or in a crowded sleep environment that includes pillows, cushions and adult bedding: An alternative to traditional crib bumpers is a Crib Rail Cover. 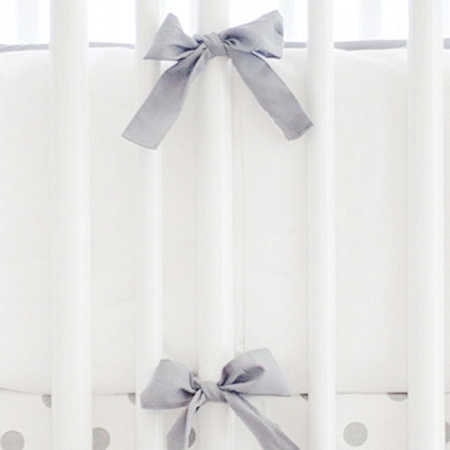 Crib Rail Covers are decorative, and will protect your baby from chewing on the crib.